Over the years, Jabil, the manufacturing solutions provider and one of HP’s partners in the production of 3D printers, has been recognized as a supply chain innovator by the likes of Gartner. Today, it is in the process of creating what Jabil and John Dulchinos, the vice president of digital manufacturing, calls a digital supply chain. As Dulchinos explains, that is one in which networks of digital printers are distributed to locations around the world, such as Singapore, where Jabil manufacturers HP’s 3D printers, while the design and process work is centralized in Silicon Valley. “We’re building production files in San Jose, and sending them to Singapore where we’re manufacturing them on 3D printers and then assembling the final product,” Dulchinos says. 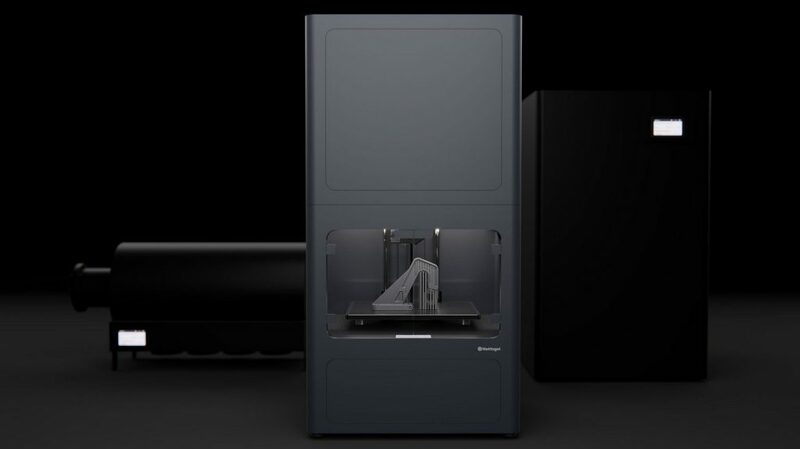 Markforged, the manufacturer of Mark series carbon fiber 3D printers and the Metal X, has been cleared of patent infringement allegations claimed by rival company Desktop Metal in March 2018. The case was brought in front of a 12-person federal jury in Boston on Monday 9th July 2018. After three weeks on trial, the jury reached the verdict around 10am on Friday 27th July. Ultimaker’s North American president discusses the evolution of the desktop 3D printer and how they have immediate cost and time benefits on the factory floor. John Kawola began working in the additive manufacturing space in 1997, a time when decent 2D printer could cost several thousand dollars. He worked his way up the Z Corp ladder, residing as CEO for four years, until the company was acquired by 3D Systems in 2012. He left the 3D printing world to run an automation company and few other ventures. During his hiatus, 3D printing exploded. Hundreds of new companies, startups and crowdfunding campaigns sprang up, only to be clobbered back down by the reality that consumers weren’t ready for the manufacturing tech in their homes, and might never be. One of the last companies standing, Ultimaker, enticed Kawola back into the fold as their North American president in 2016. The Dutch-based company had always focused on catering to industrial applications, where additive manufacturing is mature enough to concretely provide instant value. By the end of the year, Kawola’s crew introduced two new desktop models, the Ultimaker 2+ and Ultimaker 3, now workhorses in many colleges, innovation lab, and even the factory floor itself. Last year, Volkswagen’s Portugal plant saved $377,000 last year by 3D printing wheel assembly jigs and fixtures, as opposed to waiting long periods while replacements crawl through the supply chain. Learn about transformational productivity through metal additive manufacturing and Part Count Reduction (PCR). Change the way you think about designing parts and understand the potential for revolutionary new designs in aerospace, automotive, energy and manufacturing industries. Experience how the integration of Design for Additive Manufacturing (DfAM) software, advanced metal additive manufacturing, and thoroughly developed metal materials are revolutionizing metal parts design and production. See customer use cases from the Center for Environmental Engineering, Univ. of Maryland, the European Space Agency, Havells Sylvania, and Airbus Defense and Space. – Over 15 years of experience in additive manufacturing and advanced applications development and engineering with 3D Systems, Brontes Technologies, and BMW. The US military has not shied away from implementing modern manufacturing methods such as 3D printing, but has actually embraced the technology. In fact, the US Air Force has used 3D printing for multiple projects, including components for aircraft and fighter jets, such as the F-35. This is what’s known as a next-generation fighter, and the 388th Maintenance Group of the Hill Air Force Base in Utah recently began 3D printing specific replacement parts for the F-35. Base officials are hoping that the technology will help to lower costs and increase availability. Many branches of the military have turned to 3D printing to make replacement parts for those very same reasons. Author Supercharg3dPosted on 25th July 2018 3rd March 2019 Categories Paradigm Shift, Supply Chain ImpactTags Paradigm shift, Supply Chain ImpactLeave a comment on 3D Printing: What’s the hype and hope about? From the U.S. Air Force’s production of cost-effective 3D printed cup handles and 3D printed military aircraft toilet seat covers, additive manufacturing continues to provide innovative part solutions for military and naval industries. 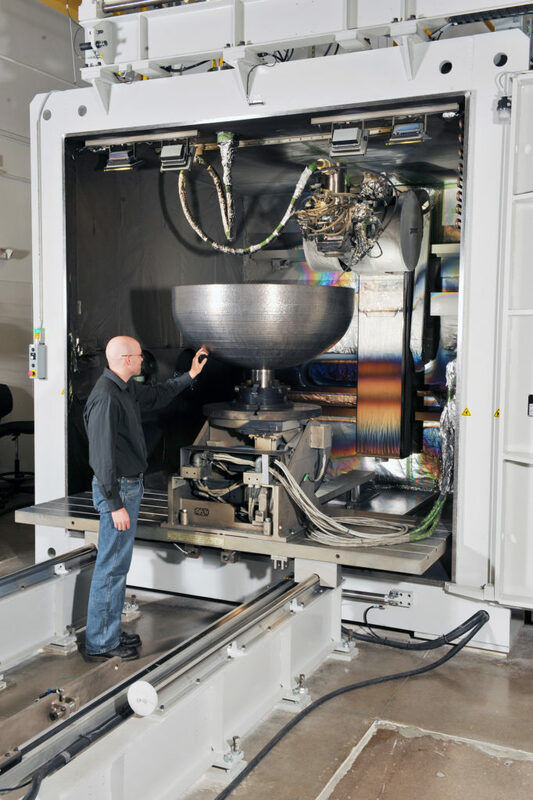 Lockheed Martin, a Maryland-based aerospace and defense company, has emphasized its 5Ps Additive Manufacturing Model to demonstrate the potential of additive manufacturing in the lifecycle of a typical U.S. Department of Defense (DoD) program. “We look to insert the right level of additive capabilities at each of our factories to support production and keep our innovation centers focused on development,” said Carolyn Preisendanz, Director of Advanced Manufacturing Technology at Lockheed Martin RMS in an article by Robert Ghobrial, Technical Fellow and AM Technology Strategist Lockheed Martin, Training and Logistics Solutions (TLS) division. Regulation is important in any industry, as are standards which ensure that every player in the industry is delivering products and processes up to a certain quality and consistency. There’s a fine line, however, between healthy regulation and unnecessarily strict standards that stifle innovation. At the beginning of July, the European Parliament adopted a non-binding resolution entitled “Three-dimensional printing: intellectual property rights and civil liability,” with 631 votes in favor, 27 against and 19 abstentions. The resolution is largely a positive one in favor of 3D printing, pointing out the benefits of the technology for society and the economy and the need for new rules supporting faster certification of parts. That’s undoubtedly a good thing; one of the factors that holds up additive manufacturing from becoming a more prevalent production technology is the issue of getting bogged down in the part certification process. However, the resolution also calls for the European Commission to consider a revision of the Liability and Intellectual Property Rights (IPR) regulatory framework for 3D printing in the European Union. With the rapid rise of the additive manufacturing sector, it has become increasingly possible for industry players to make spare and replacement parts in a cost-effective manner. What’s more, the sector lends itself especially well to the fabrication of parts for the customisation of existing products and equipment. As such, all parties in the supply chain need to be acutely aware of the very real risks of IP infringement in this evolving space, says Jason Teng, partner and patent attorney at leading full service IP law firm, Potter Clarkson. As things stand, different considerations apply depending on the type of IP rights covering a particular part or a complex product that includes the part. For instance, the manufacture of a whole patented product would normally constitute patent infringement, unless certain exceptions apply such as private non-commercial use. On the other hand, the manufacture of a spare/replacement part for incorporation into a patented product could either constitute an infringing “making” of the patented product or a non-infringing “repair”, which would vary on a case-by-case basis. On this note, some guidance can be found in a 2011 Supreme Court decision in the Schütz v Werit case.